View.Contextualyield.com search page is categorized as a browser hijacker, because is installed on all known Internet browsers such as Internet Explorer, Chrome, Firefox, etc. as add-on or extension and modifies the browsing settings in order to display annoying banners, pop-up or link ads on every page you visit. View.Contextualyield.com hijacker can be installed on a computer without the permission or knowledge of the user, slows down your browsing speed and may track users online activity in order to sell private information to third parties. The View.Contextualyield.com search page hijacker program was probably installed on your computer without your knowledge and it hijacks your browser settings in order to redirect your web searches to advertisements and earn money for its publishers. Potentially unwanted programs like the View.Contextualyield.com, are quite often bundled in the installation files of other legitimate programs (software tools and other stuff). People go through the installation (of the legitimate software) without noticing that they are also installing additional software (like tool bars, extensions, etc.) that is not necessary for the legitimate software to run. You MUST remove the View.Contextualyield.com A.S.A.P. Your computer is at a great risk! Never underestimate the power that browser hijackers can have on your life. How to remove View.Contextualyield.com homepage and search settings from your browser? Step 1. Terminate and remove View.Contextualyield.com malicious process with RogueKiller. Step 2: Uninstall View.Contextualyield.com malicious program from Control Panel. Step 3. Remove View.Contextualyield.com adware settings with AdwCleaner. Step 4: Remove View.Contextualyield.com ware files with by using JRT. Step 5: Remove View.Contextualyield.com with MalwareBytes Antimalware. Step 6: Remove View.Contextualyield.com homepage from Internet Explorer, Chrome and Firefox. Step 1. Terminate and remove View.Contextualyield.com process with RogueKiller. – RogueKiller is an freeware anti-malware program, able to detect and remove generic malwares and some advanced threats such as rootkits, rogues, worms, etc. Allow the Pre-Scan to complete and then press the Scan button. When the scan is completed, select all items found at Registry & Web Browsers tabs. Press the “Delete” button to remove items found. 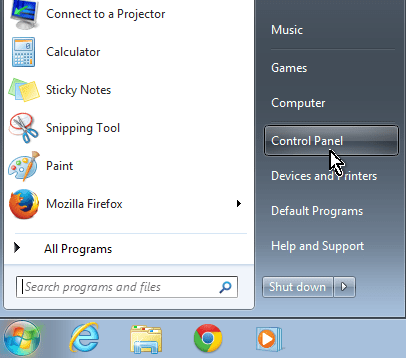 Windows 8: Right click on the lower left corner on your screen and select Control Panel. 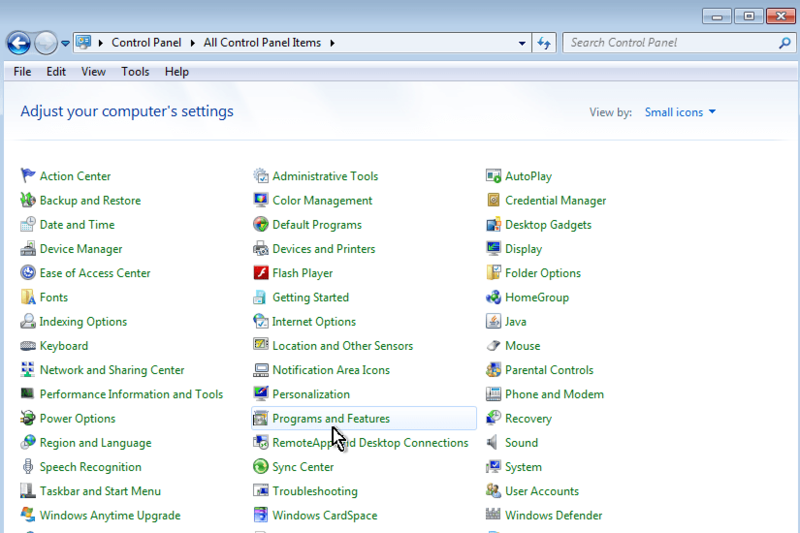 Windows 7, Vista & XP: Go to Start > Control Panel. Set the View By to Small icons. (On Windows XP: click Switch to Classic view on the left). Open Programs and Features (On Windows XP open Add or Remove Programs). Click the Installed On to sort all programs by the installation date. * Note: If you cannot uninstall a program, skip this step and continue to the next step. Finally Uninstall any unknown program that was recently installed on your computer. Step 3. Remove View.Contextualyield.com hijacker settings with AdwCleaner. – AdwCleaner is a freeware utility that can clean your computer from adware programs. Download AdwCleaner utility to your desktop. – Finally press the “Cleaning” button to remove all adware programs detected. – Press OK when asked to restart your computer. Download and save JRT-Junkware Removal Tool on your desktop. Run JRT and press a key to start the scan. Be patient until JRT scans and cleans your system from Junkware. When the Junkware Removal Tool scan is completed close the JRT log file and then reboot your computer again. * Beware: at the last screen of installation, uncheck the box next to “Enable free Trial of Malwarebytes Anti-Malware PRO” in order to use the free version of this GREAT software. Press the Scan Now button and then wait until the scan process is finished. When the scan is completed select all items found and then press Quarantine All. 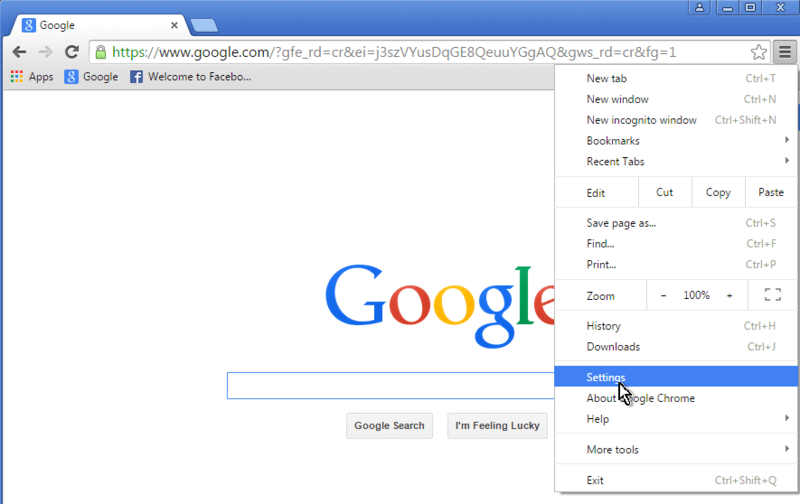 Step 6: Remove View.Contextualyield.com homepage and search settings from Internet Explorer, Chrome and Firefox. – This step is optional and you must apply it, if you still experience problems with your browser in order to make sure that all unwanted plugins, extensions and settings were removed during the above steps. The instructions on how you can reset Internet Explorer, Chrome and Firefox to default settings and remove any other malware extension, or setting, that still persists, are described below. By resetting Internet Explorer, you restore your browser to the state where it was when first installed on the PC. Click the gear icon at the top right corner and choose Internet Options. At the Advanced tab press the Reset button. Check the Delete Personal Settings checkbox and press Reset. Click the gear icon at the top right corner and choose Manage add-ons. Click Toolbars and Extensions options at the left pane. Select the View.Contextualyield.com extension and click Disable. Close all windows and restart Internet Explorer. – By resetting Firefox, you restore your browser to the state where it was when first installed on the PC. Press the Refresh Firefox button. Click “Extensions” on the left pane. Remove the following extensions from here: “View.Contextualyield.com” (if exists). Close all open windows and restart Firefox. Attention: If you cannot remove the infection from Firefox, of you face other problems (like: you cannot open a webpage in a new tab, etc.) then you have to completely remove and re-install Firefox on your computer. 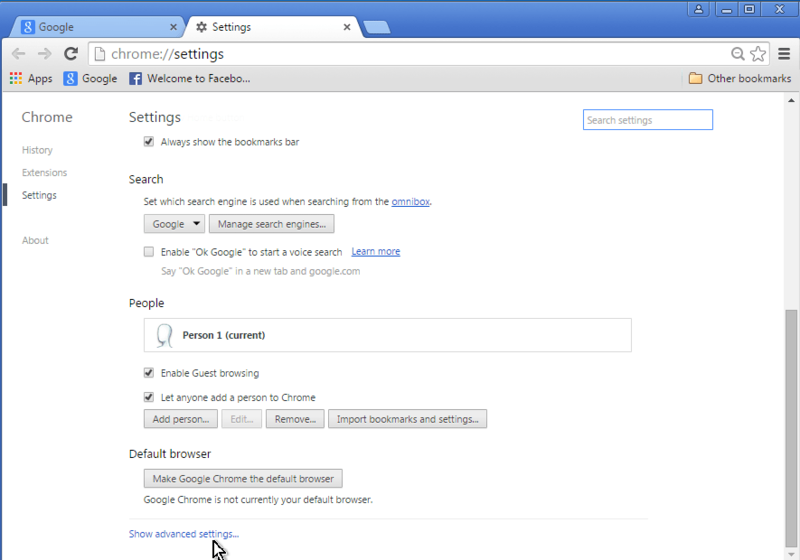 By resetting Chrome, you restore your browser to the state where it was when first installed on the PC. 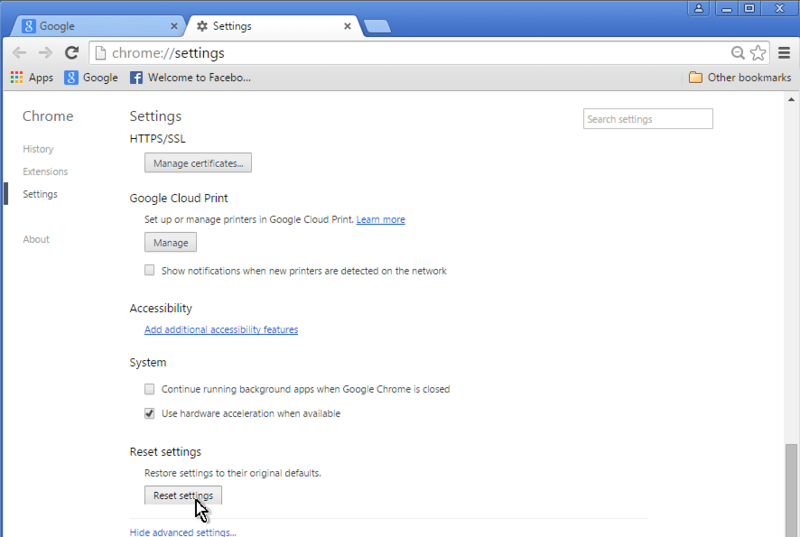 Click on Chrome's menu icon at the upper right corner) and choose Settings. At Settings page, scroll down and click to Show Advanced Settings. Scroll down again and press the Reset browser settings button. Click Reset one more time. From Chrome's menu choose Settings. Click at Extensions on the left pane. Attention: If you cannot remove the infection from Google chrome, then you have to completely remove and re-install Google Chrome on your computer. Please leave a comment in the comment section below or even better: like and share this blog post in the social networks to help spread the word about how to clean a computer from View.Contextualyield.com hijacker infection.